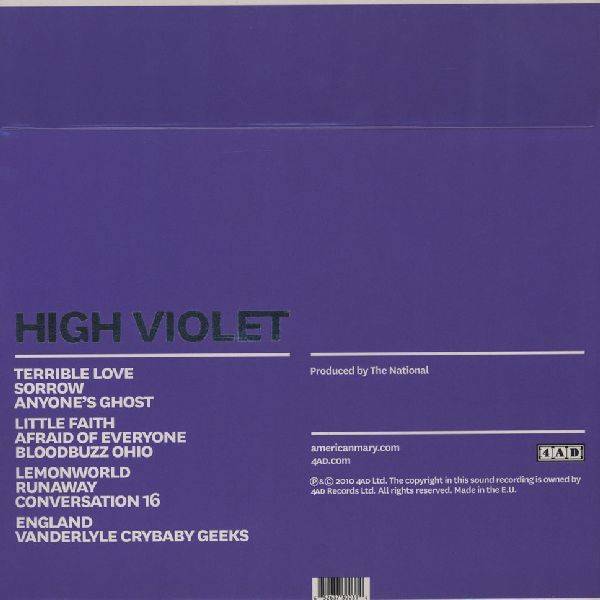 2010 EU pressed on 180g 2LP - High Violet may be The Nationals most thematically twisted record to date but it somehow also manages to be their most infectious and immediate Includes the single Bloodbuzz Ohio. High Violet is wide-ranging in it's moods by turns intimate and rough expansive and spare full of stark angles and atmosphere. Matt Berningers singing wild halfbroken sly evokes a feeling of being haunted by love, by paranoia, by something just out of reach. 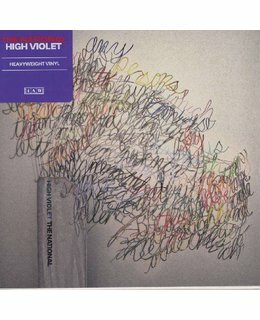 Recorded at the band's own studio in Brooklyn, with further recording and mixing at Tarquin Studios in Bridgeport, Connecticut with Peter Katis, the music on 'High Violet' is wide-ranging in its moods, by turns intimate and rough, expansive and spare, full of stark angles and atmosphere. Matt Berninger's singing - wild, half-broken, sly - evokes a feeling of being haunted, by love, by paranoia, by something just out of reach. 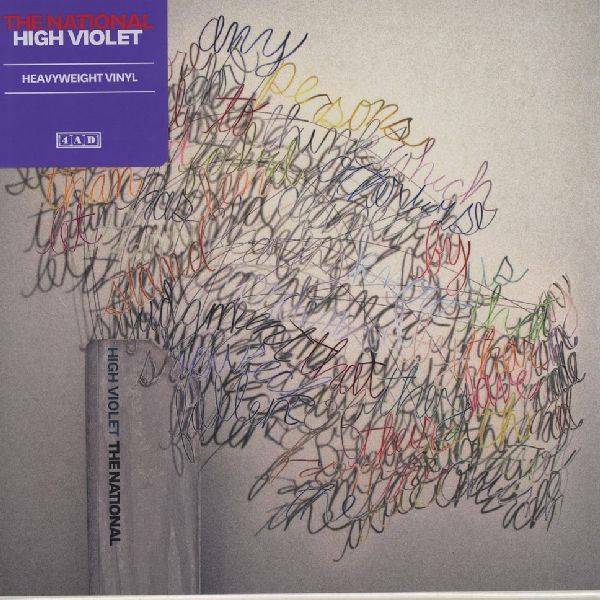 'High Violet' may be The National's most thematically twisted record to date but it somehow also manages to be their most infectious and immediate.